As the managing partner of Zingerman's Food Tours, Kristie Brablec infuses her boundless spirit and passion for learning into culinary adventures around the world. Whether cooking guylas over an open fire in Tokaj, Hungary or waking up before dawn to watch the birth of a new wheel of Parmesan cheese in Tuscany, she finds inspiration in new experiences. The daughter of an airline pilot and farmer, Kristie developed an early love of travel, an appreciation for different cultures, and a deep love of the land. After stints in Arizona, Colorado, and Michigan's Upper Peninsula, she landed in Ann Arbor where she joined the Zingerman's team in 2004. Kristie has worked across the Zingerman’s organization for over a decade. She has managed the service team for Zingerman’s Mail Order, the ecommerce and fulfillment business. She has held the position of Great Service Steward, a job that leads service efforts across every Zingerman’s business. She is a regular teacher at conferences and seminars with ZingTrain, the company’s consulting and training business. Beyond her passions for travel, wine and exciting cuisine, Kristie is a potter, photographer, creative thinker, music lover, and thrower of excellent parties. She loves acquiring new skills and even has her Scuba certification and private pilot's license! Toni grew up in Youngstown, Ohio and studied at Youngstown State University, where she received a BBA and served as president for the university chapter of the American Marketing Association. After graduation Toni managed at several retail stores, and in 1996, joined Zingerman’s Delicatessen as the retail Manager/Purchaser. She has always had a passion for food and business. Since joining Zingerman’s, Toni’s sights were set on becoming a managing partner in a new Zingerman’s business. In the spring of 1999, she realized that goal when she and her partner, Tom Root, launched Zingermans.com, the Zingerman’s online catalog. In 2002 Zingerman’s Mail Order and Zingermans.com merged and became known simply as Zingerman’s Mail Order, which sells and fulfills orders of traditional and gourmet foods nationwide. Zingerman’s Mail Order has annual sales of $15 million and employs 75 year-round and 400 seasonal employees. Toni has also served on the boards of many non-profits, including the Ann Arbor Education Foundation, Jazzistry, and Ann Arbor Art Center. She is currently 826National’s board president and a board member of the U School. She lives in Ann Arbor, Michigan with her husband and business partner (Tom Root) and two sons, Ian and Henry. Amy has been an avid food lover and baker since her childhood in Nova Scotia, Canada where she especially enjoyed feasting on wild blueberries and freshly steamed lobster. After high school Amy moved to Cambridge, MA, and when she wasn’t enjoying Boston’s bakeries and restaurants she studied American social movements at Harvard College. She then followed her passion for food and studied at L’École de Gastronomie Française at the Ritz Hotel in Paris, France. Besides baking, Amy enjoys the challenge of running a business. To help her achieve her dream of owning her own bakery, she received an MBA from Columbia University in 1999. Amy was one of the original bakers at Zingerman’s Bakehouse when it opened in 1992 and became a Zingerman’s partner in 2000. She is the co-author of the cookbook Zingerman’s Bakehouse. As well as leading the bakery, Amy teaches seminars with ZingTrain and develops and leads food tours. Amy particularly enjoys engaging with cultures and world history by exploring foreign cuisines. Zingerman’s Food Tours allows her to share her curiosity and knowledge of foreign countries with guests. Delicious food is great, and sharing it with others is even better. Amy lives in Ann Arbor with her husband Geoff. They have two grown children, Jake and Ruby, and a daughter in-law, Emily. Tom Root grew up near Youngstown, OH with a passion for business and entrepreneurship. After graduating from Miami University in 1993, he became a certified business counselor for the state of Michigan, advising entrepreneurs on business plan development and capital acquisition through the SBA’s Small Business Development Center program. Tom specialized in computer and software start-ups, and at the same time, ran a consulting company to advise clients on website development. In January of 1995 Tom became the first employee of Online Technologies Corporation, where he was Director of Development and Training. Over the next year he taught weekly classes through Walsh College and led the development of over 100 websites. During one of his teaching sessions, Tom was introduced to a team of people who had been charged with the creation of a website for a Michigan public electric utility, Detroit Edison. By February 1996 Tom was the principal web application developer for Detroit Edison. During his three years at Edison he managed a budget of over $1 million per year and organized a team of seven to create and manage Edison’s eight external web sites and its 50,000 page intranet. In January of 1999, while attending a food conference in San Francisco with his wife Toni Morrell (then a manager at Zingerman’s Delicatessen), Tom struck upon the idea for a Zingerman’s website and began the process of becoming a Zingerman’s managing partner. On September 22, 1999 Zingermans.com took its first order, and Tom took on his first official role at Zingerman’s as Chief Information Officer. During the next two years he introduced Zingerman’s to email, established a wide area network, connecting all the various Zingerman’s locations and managed Zingermans.com (with lots of help from Toni!). In 2002 Zingerman’s Mail Order and Zingermans.com merged and Tom took on the role of controller of the resulting business (known simply as Zingerman’s Mail Order). As controller, Tom has championed open book management and taken the lead on educating staff about the financial ins and outs of the business. Tom teaches a number of internal staff classes for Zingerman’s employees and is also a frequent presenter for outside organizations. Jillian and Elph: Have been tour leaders with Zingerman's Food Tours since 2009. Elph has been involved in Zingerman's for 17 years leading the Intentional Technology department. Along with her food tour work for Zingerman’s, Jillian is Director of Production for the University of Michigan Press. We are both trained consensus facilitators and group dynamics veterans. Our most recent trips were Puerto Rico, New Orleans, Michigan’s Leelanau Peninsula, Sri Lanka, and Spain. And we love our home in a cohousing community in Ann Arbor, Michigan. Jillian loves to garden and cook and Elph is in charge of creating imaginative cocktails. A world-class chef whose career began in England at the age of 13 when he was accepted into the Royal Academy of Culinary Arts, Kieron has traveled the globe having lived and cooked in 27 different countries. His posts have included the three star Paul Bocuse in France and Dal Pescatore in Italy, as well as cooking for the British Royal family and three U.S. Presidents. In 2008, Kieron emigrated to the State to join Zingerman’s and pursue his entrepreneurial aspirations. After a few years as Executive Chef of the Roadhouse, he penned a vision and opened Zingerman's Cornman Farms, an award-winning event venue and working farm in Dexter, Michigan that specializes in weddings, private dining and corporate events with a focus on farm-to-table dining. A Michigander, born and raised, who studied and focused her career on hospitality. She helped bring great American food to Ann Arbor serving and managing at Zingerman's Roadhouse for more than a decade, and has hosted Zingerman's Annual Camp Bacon since 2012. 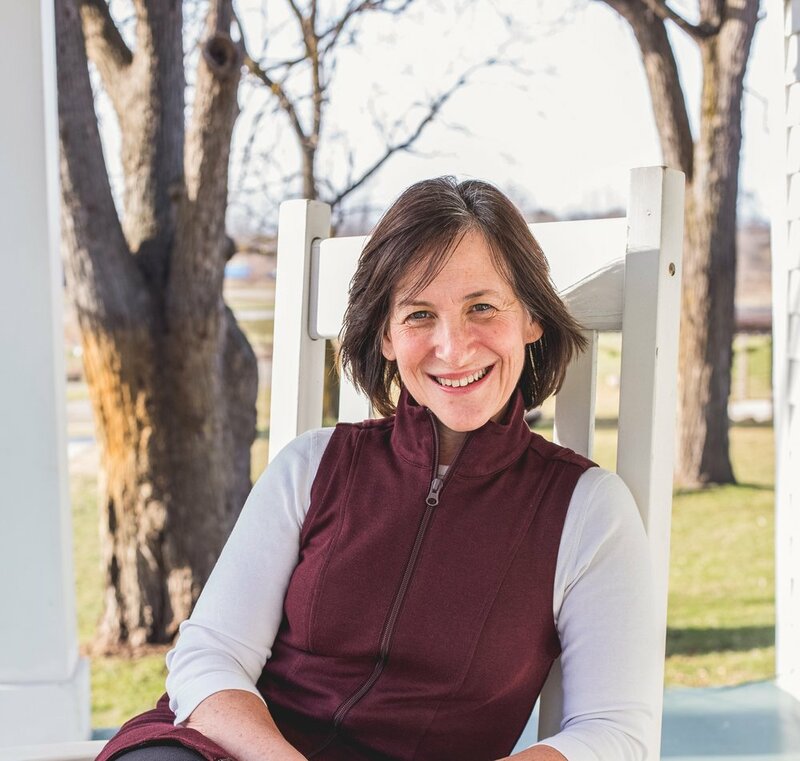 Today she shares the Zingerman's experience with businesses around the country as a valued trainer and world-class service provider at ZingTrain. Rodger started his career at Zingerman’s Delicatessen making sandwiches. 15 years later he is one of three managing partners in what has grown into a $12 million, 187 employee business. Besides spearheading the food coming out of the Deli’s kitchens as Head Chef, Rodger also leads all Purchasing and Marketing operations. Rodger has been instrumental in profitably introducing local, small-farm produce into the Deli’s daily operations and streamlining a very complex buying operation that includes at least several nations and over 5000 products. Before Zingerman’s Deli, Rodger trained at Chez Panisse and Ballymaloe Cookery School in Cork, Ireland. Rodger combines his passion for food and Zingerman’s commitment to the community by serving as an active board member on several non-profit organizations that are shaping the food system in Michigan, such as the Food System Economic Partnership, Ann Arbor’s Westside Farmer’s Market, and The Agrarian Adventure. When not working with or on food, Rodger spends time with his wife and children and indulges his other passion, amateur bike racing. Rodger has been racing for over a decade now and runs the Ann Arbor Velo Club’s masters team. Brad started working at Zingerman’s Delicatessen in the fall of 1994 while a freshman in college and stayed with Zingerman’s throughout his academic career. He graduated with a BA in Creative Writing, making him perfectly qualified for a career in food service (and not much else). Brad says he’s been professionally reared in Zingerman’s and takes the philosophies, strategies and processes of the organization to heart. He’s been a part of the Zingerman’s Community of Businesses during some very significant systemic changes that have now become intrinsic to the culture and operations of the company – documenting service experiences using Code Reds and Greens, going Open Book, huddling, and working on the Zingerman’s Community of Businesses’ vision for the year 2020, to name a few. Today, Brad travels the globe scouting products for Zingerman’s Mail Order as well as to meet producers and learn more of the stories behind the food that he then shares with customers nationwide through Mail Order’s award-winning catalog. And he’s excited to be the only Creative Writing major he knows that actually writes for a living. With Zingerman’s so firmly entrenched in Brad’s DNA, Brad made the logical step towards being a ZingTrain trainer – sharing Zingerman’s culture, systems and values with seminar attendants and consulting clients across the country. And now he’s off to London to help lead Zingerman’s Food Tour to one of the world’s most historic, important, and delicious cities.